Photo: Coll. No. 1006, smooth, shiny seeds with basal attachment scars, length ±1.3 mm. Eastern Mojave Vegetation Coll. No. 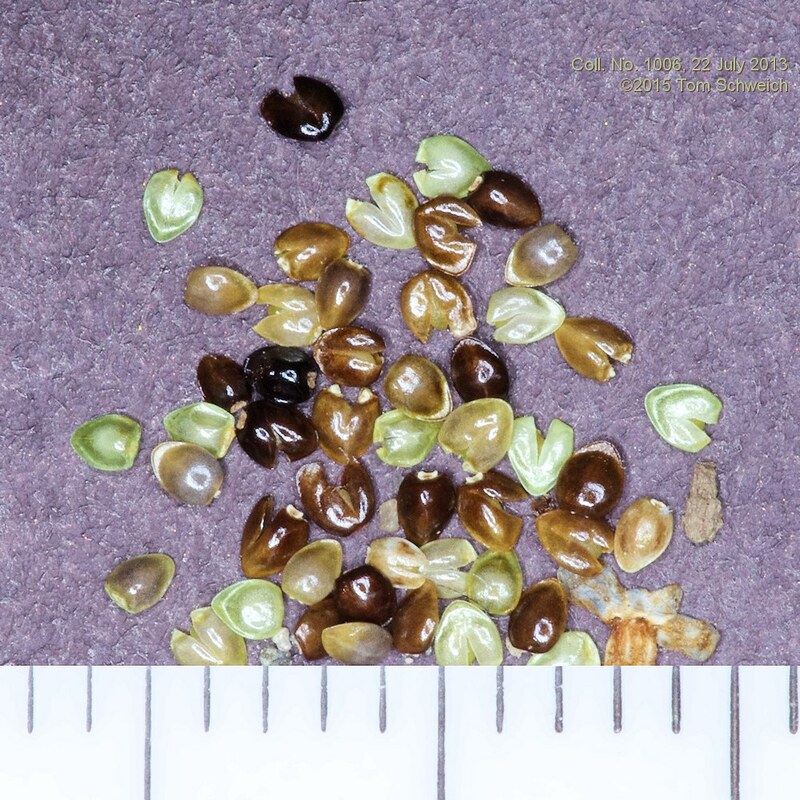 1006, smooth, shiny seeds with basal attachment scars, length ±1.3 mm.